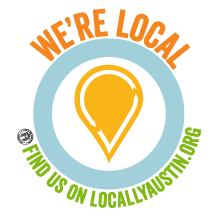 Most Austin area homeowners use our garage doors several times on a daily basis. As long as it’s working smoothly, we sometimes overlook minor repairs. 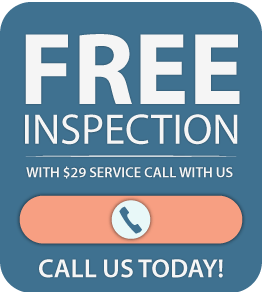 Here are five key signals telling you need garage door spring repair in Austin, TX. In addition to repairs, routine inspections can help keep your garage doors functional and safe. Broken Parts: If you notice bolts and springs and other small parts on your garage floor, that’s a good sign you need to call us. Jerky Movements: Shaking, rumbling, jerky doors are a hazard and a sure sign that a repair is needed immediately. Your door might be off track or out of balance, the rollers might be failing or the door panels might be bent or sagging. Unusual Noise: Older garage doors tend to make more noise than newer ones. Newer doors are designed to complete a smooth operation with little to no sound. If you notice unusual noise such as squeaking, squealing or grinding and a simple application of lubricant doesn’t help, it could indicate a problem with the operational springs. Curb Appeal: Chipping paint, sagging doors, loose springs or otherwise unsightly conditions are usually relatively simple repairs. Curb appeal is the first impression your Austin home makes. Having a garage door that’s aesthetically appealing increases your satisfaction and the resale value and attractiveness of your home. Stuck Door: Make sure nothing is blocking the door sensors and that your remote control isn’t in need of new batteries. If your garage door still doesn’t respond to its control buttons, it definitely requires repair. From missing springs to total malfunction, no-working doors are a nuisance. Let our pros come in and repair or replace the springs, connectors or control panel. If your garage door exhibits any of these signs of broken springs or needs other repair, call Chameleon Overhead Doors for garage door spring repair in Austin, TX. We’ll keep your garage door springs and rollers in Austin running like the well-oiled machine they were designed to be.